Friday 13th May, a beautiful sunny day, saw Sally lining up for the 3 day Belgian Mountainbike Challenge which kicked off in the stunning Ardennes. Sally – Friday 13th (and our hotel room number was 113), so perhaps it wasn’t so surprising that after less than 5km I heard the heart sinking sound of air leaking from my tyre. A huge sidewall cut which was tricky to fix, saw me sidelined for more than 15 minutes. In the meantime, the whole field of pros and amateur riders passed me. Chasing back lost time and over-taking hundreds of riders was a big challenge, but I tried really hard to close some time and finished in 5th position, 20 minutes behind first place. The next two stages were all about chasing more lost time and trying hard to see how much time I could claim back. Amazingly, on the second stage I closed nearly 8 minutes, leaving 12 minutes to try to recover on the last day – a seemingly impossible task! On the final stage I gave everything and crazily managed to take the lead during the last 30kms! How cool is that?! 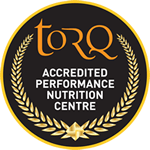 TORQ fuelled all the way with 500ml TORQ energy, 1 TORQ gel and 1 TORQ chew per hour. Rocket fuel! Three weekends, three races, three wins. Perfect! Now Sally has three weeks before the next big race: European Marathon Championships in Latvia.